In the planning tab you can enter values at a summary view by default - just enter the values straight into the editable cells and save changes as needed. But for some transactions, like a Fertiliser or Feed purchase, you may need a bit more detail. You can do this by entering detailed transactions. These detailed transactions can be added into an accounts budget schedule screen. 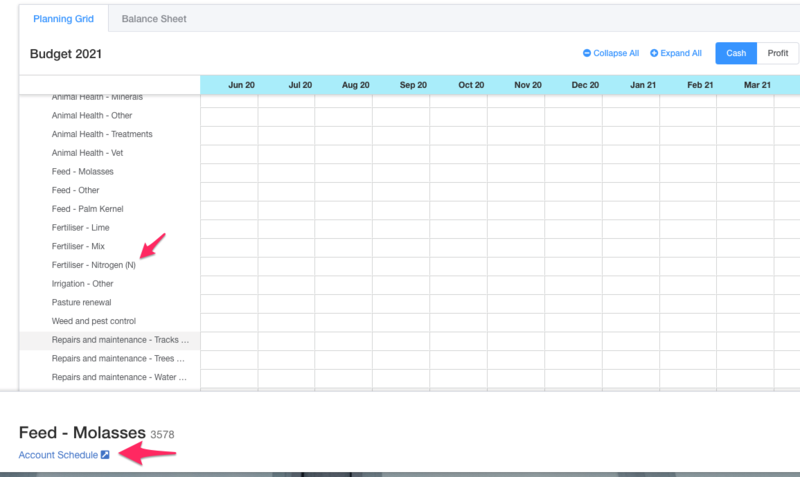 To access the budget schedule, click on the account name in the planning tab. The budget schedule works on both a budget or a forecast view. 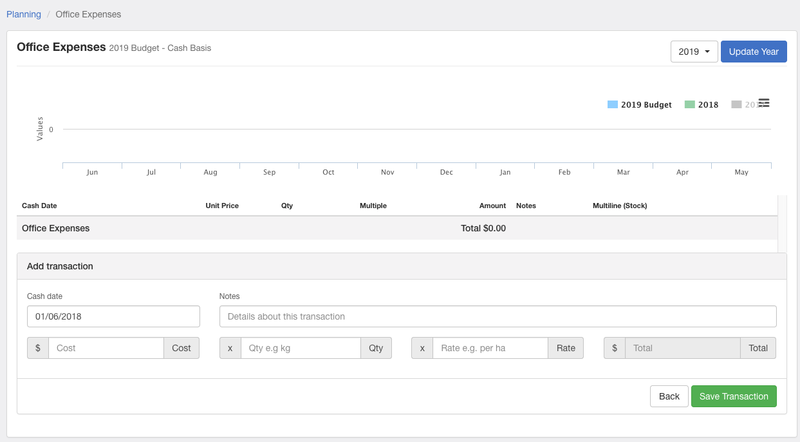 The transactions can then be entered with a cost x quantity x rate along with some notes about the transaction.